In a move that will come as no surprise to any Philly fan, the Eagles used their franchise tag on Michael Vick today, officially retaining his rights for next season. 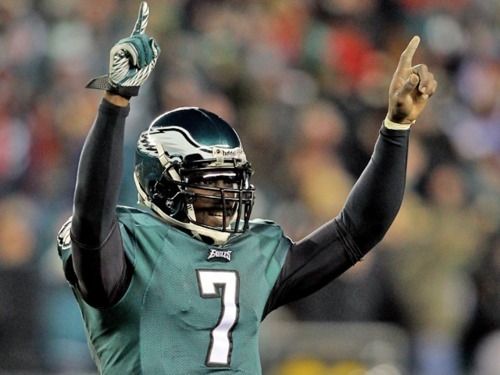 Franchising Vick was rumored for weeks as a solution to keep the free agent quarterback in Philadelphia, although the current NFL labor situation clouded the reliability of such a move. The players association seeks to challenge the ability for teams to tag players in 2011 without a new collective bargaining agreement. Still, this is obviously the first step to retaining Vick long term, after his stellar comeback season in 2010. Assuming a new CBA is worked out before the season begins, the Eagles will likely use the leverage from the franchise tag to work out a contract extension with their starting quarterback. But even if those talks never occur, Vick won’t suffer much — franchised quarterbacks made $16.5 million last year. That should help ease Vick’s financial burdens, while keeping him with the team and coach he wants to play for. Vick is worth a tremendous deal to the Eagles both on the field, marshaling an explosive offense, and off of it, bringing excitement and fans to Lincoln Financial Field. The Eagles also announced today that they placed their transition tag on kicker David Akers, who also would also have been a free agent. The transition tag allows the Eagles to match any free agent offer Akers receives, although it grants no compensation to the team if Akers signs somewhere else. The Eagles must tender Akers a one-year deal for the average salary of the ten highest-paid kickers and punters in 2010, which was just shy of $3 million in 2010. As we looked at recently, Akers still appears to have the leg strength to be above average on kickoffs, but he’s no longer reliable or even league average on field goals over 50 yards. Still, his consistency, professionalism, and veteran leadership is certainly worth keeping around, especially when there are no obviously better options available. Tagged with Philadelphia Eagles, Michael Vick, Franchise Tag, David Akers, Transition Tag, Free Agency, CBA, NFL, Contract Extension. February 15, 2011 by Brian Solomon.